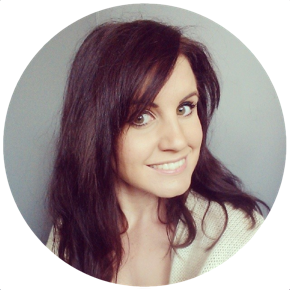 Ashleigh Lawrence-Rye: What's In My Fridge? Dawn recently asked me to take part in her "What's In My Fridge?" series; and as I'm relatively well stocked at the moment I thought I'd thrust the nose of my camera in to the fridge and share what's chilling in there at the moment. NB: Don't do this, sitting with your fridge door open is a horrible waste of energy. 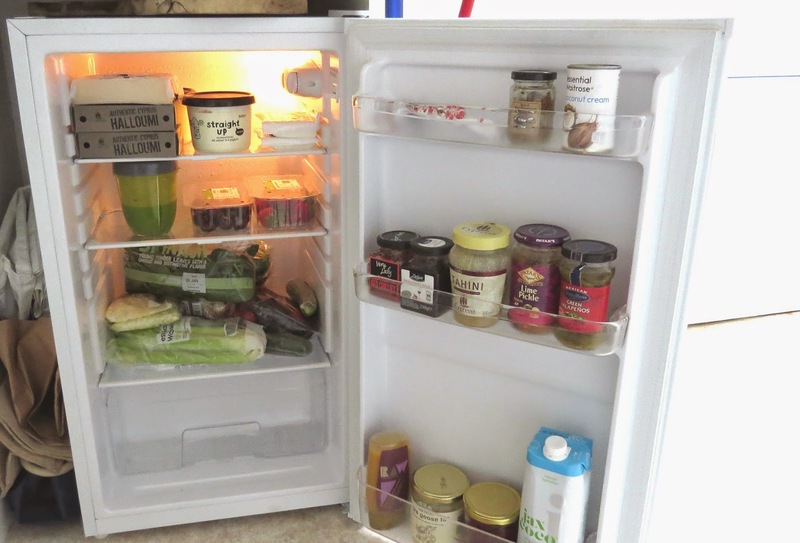 You should always open your fridge door knowing what it is that you're going in for; thus reducing the amount of time the door is open as much as possible. Your fridge is probably one of the biggest eaters of electricity in your home so never make it work any harder than it needs to! My fridge is probably the cheapest fridge that you can buy new on the British High Street, I'm almost certain of it. It came from Argos when I first moved in to the flat, makes up part of their "Basics" range, and doesn't even feature any branding anywhere on the appliance - but you know what - despite being quite a small under-the-counter fridge (there's only me and a four year old though!) - it works much the same as every single fridge I've ever met. At the time of writing the Argos Value Range Under Counter Larder Fridge (catchy!) was £99.99 here. That mess down the side is my collection of re-usable shopping bags! 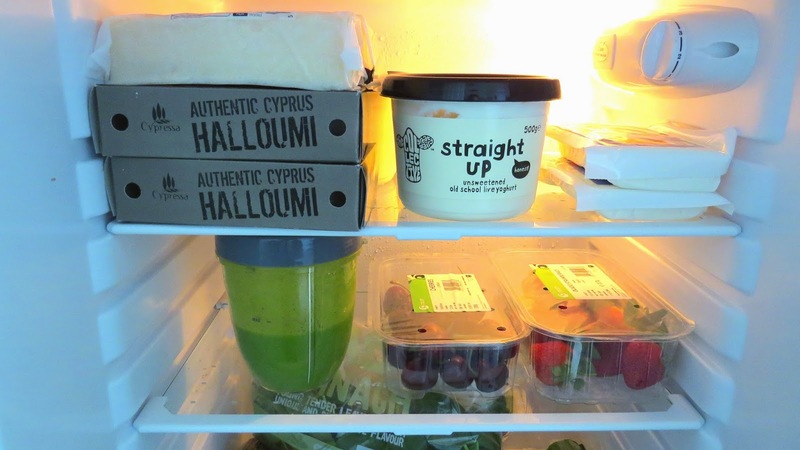 I'd like to say that some thought went in to the organisation of my fridge, but basically, the vegetables are all in the bottom (I very rarely actually use the salad crisper) The middle shelf has some stuff that wouldn't fit elsewhere, and on the top are dairy products. The door has everything sort of jar or bottle shaped in it. 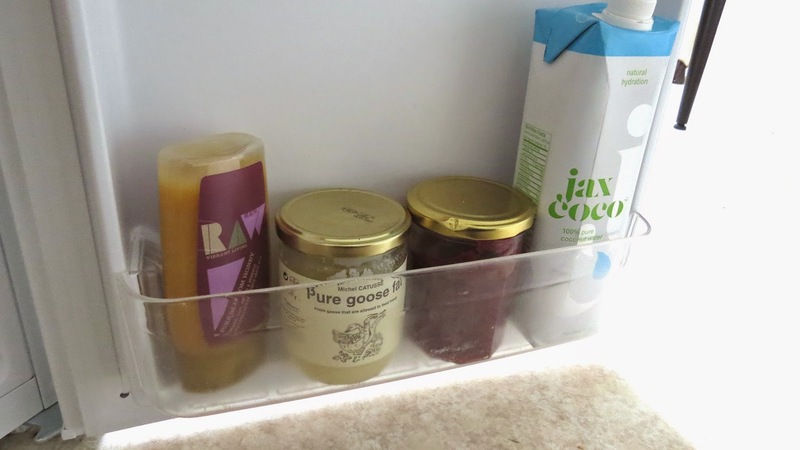 In the bottom of the door there's a carton of Jax Coco raw coconut water, which I drink on it's own and add to smoothies and juices, as well as slugging it in to various dishes. There's also a jar of home-made cranberry and balsamic sauce, left over from Christmas dinner but it will be used up as it goes with pretty much any meat, a jar of goose fat - again from Christmas, and a bottle of Raw Health Blossom Honey. When buying goose fat I look for products made from geese that have been able to feed naturally. A lot of goose fat products are made from artificially fattened (force fed) geese, using the same methods as those involved in foie- gras production. 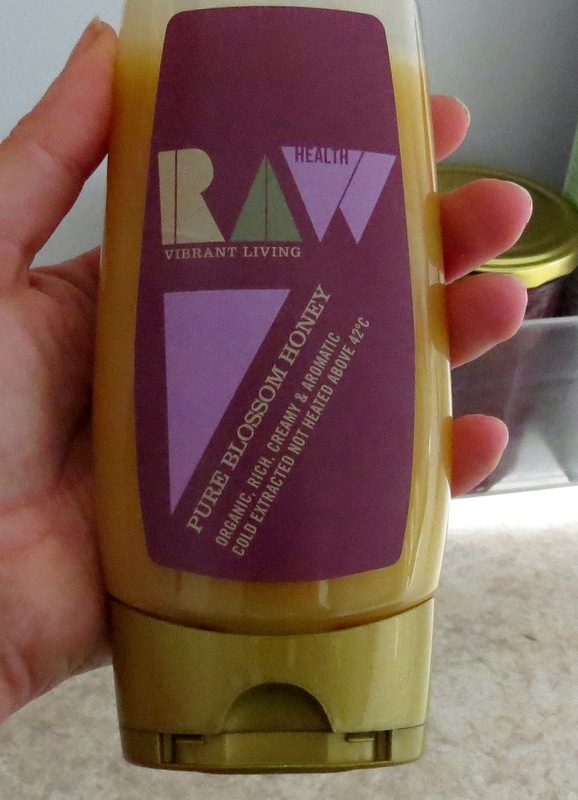 Raw Health honey is never heated above the natural temperature of a beehive, so none of the good stuff breaks down - presenting a number of additional health benefits without the price tag of other "health" honeys such as Manuka. There are a couple of odds and ends on the top shelf. I keep coconut cream in the fridge because it takes on a consistency much like ice cream, coconut ice cream, that's sugar and dairy free. Winning. Next to the coconut cream is a jar of beer and black peppercorn mustard, strictly belonging to Bradley, I'm not sure how it worked it's way in to my fridge but it's very nice. There's also tomato purée because - there's always tomato purée. I'm still planning to give up dairy entirely, for my skin and for my conscience, but at the moment you will still find a few of my favourite milk based products on the top shelf of my fridge. I love natural yoghurt, and this Straight Up Honest Yoghurt from The Collective is lovely, entirely unsweetened, natural, proper yoghurt with no added sugar. Halloumi and Feta are two cheeses which feature heavily in my diet, so you'll often find plenty of these lurking, and there's a big block of cheddar there for Seb too. Below the dairy is a bit of a miscellaneous shelf, currently home to a punnet of strawberries and a punnet of cherries. Nothing beats grilled strawberries and avocado on toast with black pepper - trust me. The green concoction is some leftover juice that I made in the Nutribullet, this particular variety is green banana, spinach, mint and chia seeds, with coconut water, turmeric and raw honey. 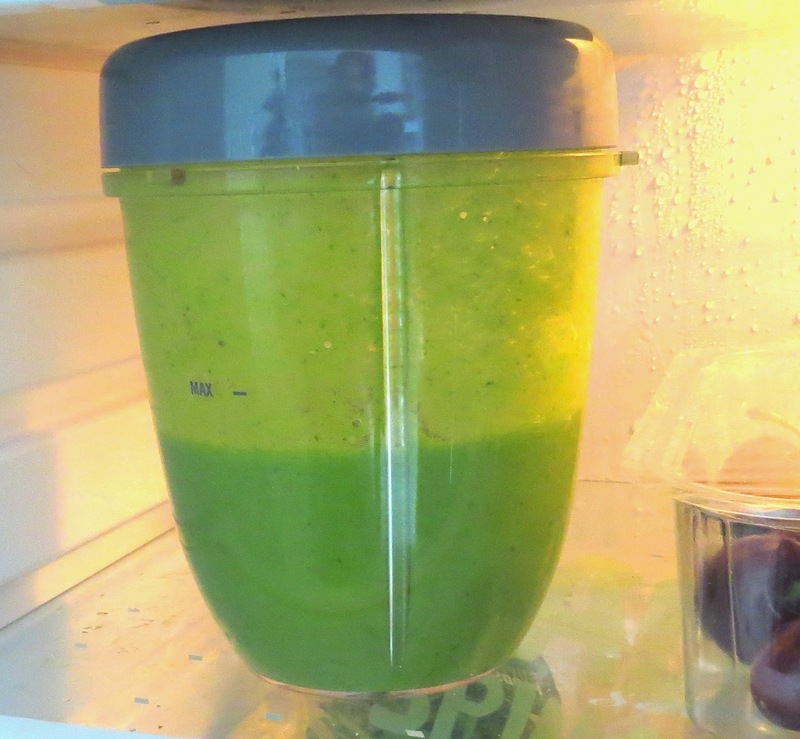 The vegetable mess at the bottom of the fridge doesn't live in the salad crisper because I find that once I condemn things to life in the drawer, I'm less likely to get them out, meaning that more often than not, they turn to juice all on their own. I like to leave the veg where it's more "grabbable", and therefore more likely to get thrown in to a juice or salad. At the moment there's baby spinach, loads of cucumber, tomatoes, radishes, celery, ginger (which probably shouldn't live in the fridge), pre-sliced onions, a couple of green peppers and half a lemon in this pile. 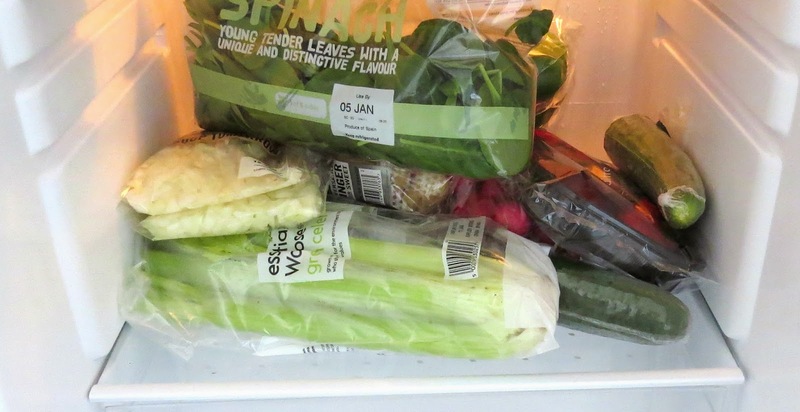 Ordinarily I don't stop at supermarkets for veg - I prefer to use the greengrocer but I made an exception this week as I was sent vouchers, and as I explained previously, whilst I'm keen to shop local as much as possible - if the supermarkets want to give it to me for free - I'm not saying no. There's no meat in my fridge because generally speaking I don't buy meat in large quantities for immediate consumption. I either buy meat from the butcher to cook the same day, or I buy from the butcher when something's on offer or heavily reduced, and it goes straight in to the freezer. 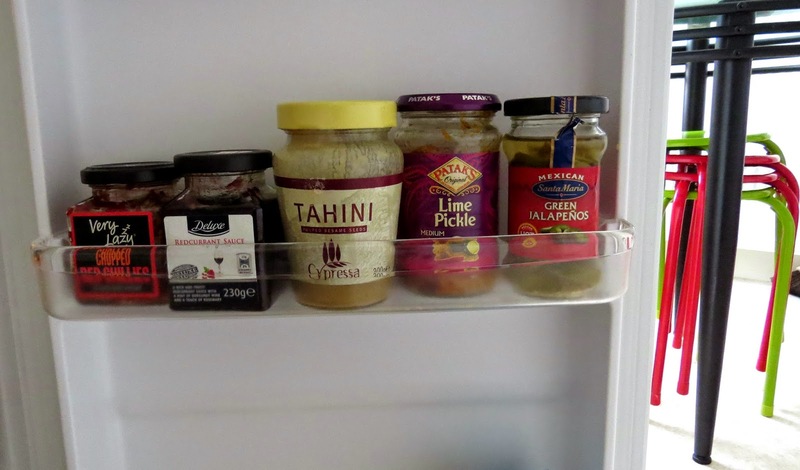 There are a few usuals that aren't in my fridge at the moment, Seb would usually have some jelly or fromage frais in here but I need to a) make some jelly and b) buy some fromage frais. I also usually have oat milk for porridge, and I need to make some nut butters when I get a moment.